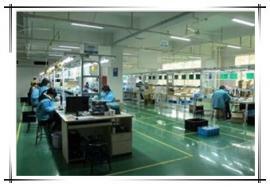 As a leading developer and manufacturer of mini surveillance equipments,Shenzhen Kylin Technology Co., Ltd have a professional R&D team ,includes 2 senior engineers who have more than 15 years experience in camera development, we are able to provide the most intelligent and economical surveillance solutions for the customers.There is always a solution for you! Main Products:mini camera,hidden camera,spy camera,wireless camera,mini dvr,baby monitor and so on. Our products have been approved by plenty of customers whom from around the world such as America, Europe, Middle East, Asia and Australia. Line with " Creating together,sharing together,improving together" and valued "Quality,Innovation,Profession",we provide high-tech designs and features products according to customers' needs. Looking forward to the future, we will continue to be in a professional, efficient, innovative and realistic, honest spirit of enterprise, strive for the international first-class digital surveillance equipment manufacturing enterprises.